There are a lot of men and women who have won a lot of money playing poker but no one has won as much as Antonio "The Magician" Esfandiari, and no one has ever done it in quite the same way. He has won two World Poker Tour (WPT) championships and three World Series of Poker (WSOP) bracelets in his career, including the "Big One for One Drop" in 2012, a $1,000,000 buy-in tournament benefiting the One Drop Foundation. By winning the event, along with the largest cash prize in the history of poker at $18,346,673, this "Magic Man" is ranked number one for all-time tournament poker winnings. 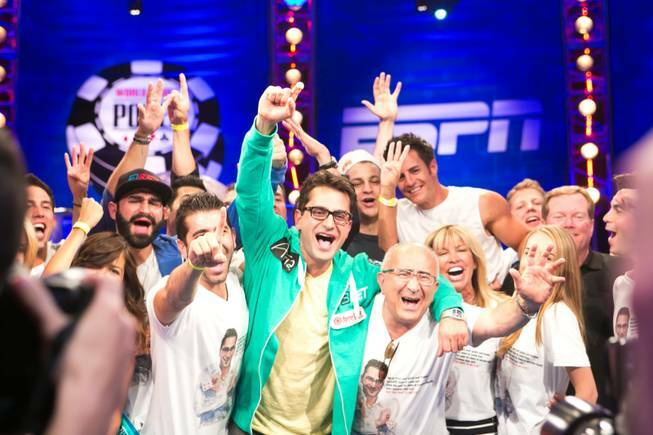 Esfandiari, a former professional magician known for his crazy chip tricks, is now not only busy winning poker tournaments but also quickly becoming a world wide superstar. He has appeared in several poker television shows, including the Game Show Network series "High Stakes Poker" and NBC's "Poker After Dark." He co-starred in the TV show I Bet You, on MOJO HD, with Phil Laak. He is the face of World Poker Tour's Poker-Made Millionaire. He was also seen in the season 7 opener of Entourage. Most recently, Esfandiari appears as an undercover officer in the movie Freelancers starring Robert De Niro and Curtis "50 Cent" Jackson. He has also authored The Magician's Secrets for Winning Tournaments on Insta Poker, a poker strategy game available for iOS, Apple's mobile operating system. Not bad for a kid who was born in Tehran, raised in San Jose California, graduated from high school in 1997 and just turned 34-years-old on Dec. 8, 2012.